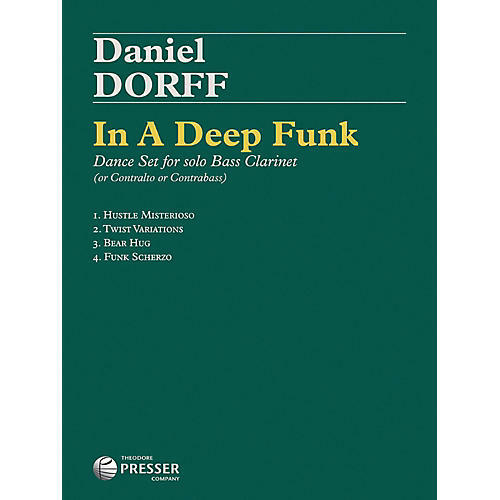 Already a long-standing rite of passage in the contrabassoon repertoire, Dorff has revisited and adapted In A Deep Funk for solo bass clarinet, for Barbara Haney to premiere at the 2014 ICA ClarinetFest. In the spirit of Bach cello suites, Dorff develops characteristic dance rhythms to drive each movement. The subtitles tell it all: Hustle Misterioso, Twist Variations, Bear Hug (a slow 12/8 ballad), and Funk Scherzo. For advanced performers.